Donald Trump still refuses to do it. But his running mate, Indiana Governor Mike Pence, just did what presidential nominees and vice presidential candidates have done for 40 years. On Friday, Pence released 10 years of tax returns. Unlike that of his new boss, Pence's tax situation is a fairly simple affair. 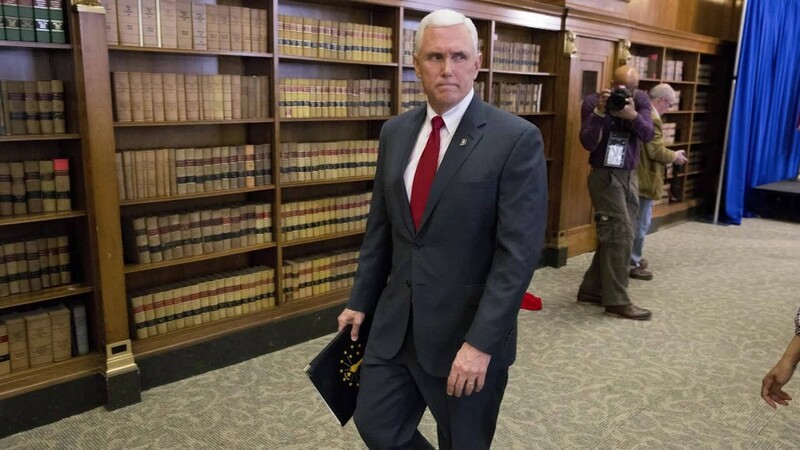 He and his wife, Karen, reported bringing in $113,026 in adjusted gross income in 2015, with most of it coming from Pence's income as governor. The couple also pulled in nearly $9,000 from a pension or annuity. They paid $8,956 in federal income taxes, giving them an effective income tax rate of 8%. "That effective rate is typical for the income category," said tax lawyer Steve Rosenthal, a senior fellow at the Tax Policy Center. The vast majority of Americans pay an effective income tax rate below 15%. The Pences' managed to keep their rate low because of a variety of tax breaks and losses they claimed. They reported north of $15,000 in itemized deductions, with the bulk of it ($8,923) coming from their charitable contributions. The rest ($6,611) came from their deduction of state and local income and property taxes. They reported a loss of roughly $3,500 in connection with Karen Pence's work as an artist and as owner of the business, That's My Towel Charm, Inc. They also claimed a $3,000 education credit and deducted $2,500 in student loan interest. They have three children, the youngest of whom is still in college. On their financial disclosure forms released last month, the Pences reported that they borrowed between $95,000 and $280,000 to subsidize the cost of their children's college educations. The couple's 2015 income was their lowest reported out of the 10 years of tax returns released. Their peak earnings came in 2009 and 2010 when they brought in more than $187,000. But for all 10 years they booked a six-figure income. Hillary Clinton's running mate, Sen. Tim Kaine, released 10 years of his tax returns in August. Like Pence, Kaine's financial situation is vastly more modest than that of his boss. While Clinton booked $10.6 million in income in 2015, a steep drop from the year before, Kaine and his wife reported $313,441 -- derived largely from their salaries. They paid nearly $63,000 in federal income taxes for an effective rate of 20%.